As part of the project Next Europe, EASA organized in cooperation with the Hungarian Ministry of Human Capacities a conference focussing on the topics Cooperation and Convergence in Europe. After the welcome addresses by EASA-President Prof. Dr. Dr.h.c. Felix Unger and Minister Zoltán Balog, Prof. Dr. Dr.h.c. Werner Weidenfeld (Director of the Center for Applied Policy Research, Munich), Prof. Dr. Norbert Króo (Hungarian Academy of Sciences), Dr. Paul Jankowitsch (Founding Chairman of the Board of Directors of the RESAVER Consortium), and Dr. Loránd G. Er?ss (Sovereign Military Order of Malta) discussed the challenges of political and cultural cooperation in Europe. In the second panel, Prof. Dr. Dr. Paul Zulehner (University of Vienna), Prof. Dr. Ferenc Miszlivetz (Director of the Institute for Advanced Study K?szeg), Prof. Dr. Dr.h.c. Zoltán Végh (University of Salzburg), and Prof. Dr. Sylvester Vizi (Hungarian Academy of Sciences) discussed the key challenges for social and economic convergence among EU member states. 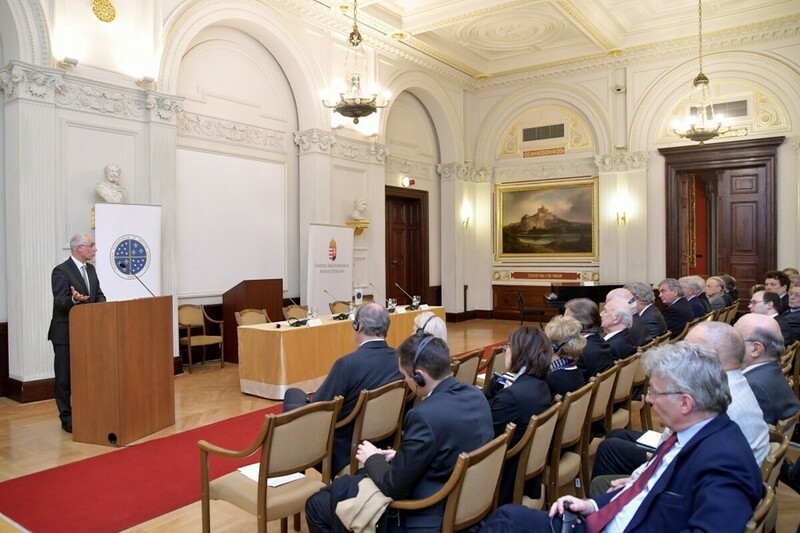 We would like to thank our host – the Hungarian Academy of Sciences, and our co-organizer – the Ministry of Human Capacities.